I recently interviewed a friend of mine, Teymur. He has been raising a beautiful Siberian Husky named Dexter. I asked him about how he handles his puppy and how it is going for him. 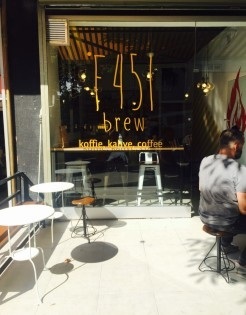 Located at Kennedy right next to Tunalı, F451 is one of my favorite places to go to. Right next to it is an art gallery and a tattoo shop. The reason why I love the cafe so much and enjoy it with Mona is because, firstly, the owner is a really friendly. Secondly, everyone loves dogs. Mona loves to make new friends everytime I take her there. Its one of the places where I love to study, and the added benefit is I can take Mona there whenever and for however long I want and no one will have a problem with it. The coffee at F451 is amazing and so are the cakes that are freshly baked everyday. If you end up going here do not forget to try the fresh lemonade on a sunny day! ​ friend roam freely without a problem. A few people might be scared but that's part of the fun. Watching Mona off the leash just running around exploring a new world is the added benefit. Other students also bring their puppies or grown up dogs to campus and its really fun to see them interact. Its true that if you're in Ankara and not a Bilkent student, this would be pretty hard for you, however, if you are, it is really fun for not only you but your little friend as well. Finally we have Eymir Lake. It is a must go to regardless if you have a dog or not. Over here you can go canoeing, or rent a bicycle and explore the whole area. The best part about the trip with Mona was that it was her first time swimming. After that we went on a long ride, her running alongside me while I rode a bike. It was an amazing experience. 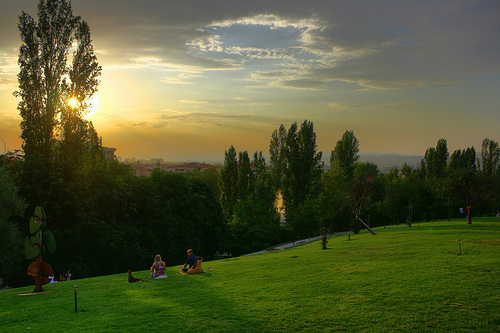 Your dog will love it here, as it is also a place where people love to take their dogs. I hope the list was enjoyable to read for all of you as much as it was enjoyable for me to write. Comment below wherever you have taken your dog in any part of the world and how fun it was! Once again I apologise for not posting more often, I had midterms and could not give time to my blog! Ever had a tiny thing running around your feet, being all adorable and stuff? Well, it gets old really fast. It's not all that hard to remember Mona's first days in the house. Small, scared, and basically a little ball of fur! I would be lying if I say I didn't stare at her like she was a newborn baby. We had some scares in the start, like when she stopped eating at all. I can confidently say I have never been that stressed in my entire life. Bilal literally hand fed her every day, mixing her food in some water and feeding her with a spoon. But never mind that. I want to talk about her running around the floor. The cutest rat in the world, with those tiny little legs jumping around and thinking she is the biggest dog in the world. Yes, that's where you fall in love with her, and everyone did. But you know the most important lesson that I learned? You can love something unconditionally. Mona, Lisa to her friends, is my life now. It has been 44 days now, and she's getting so big. She has changed my life, and she will change anyone's who gives her a chance. My cutest little rat. This past summer, while making plans for moving out of the dorms from my university, I made a decision with Bilal, my best bud, which in turn would change my life. 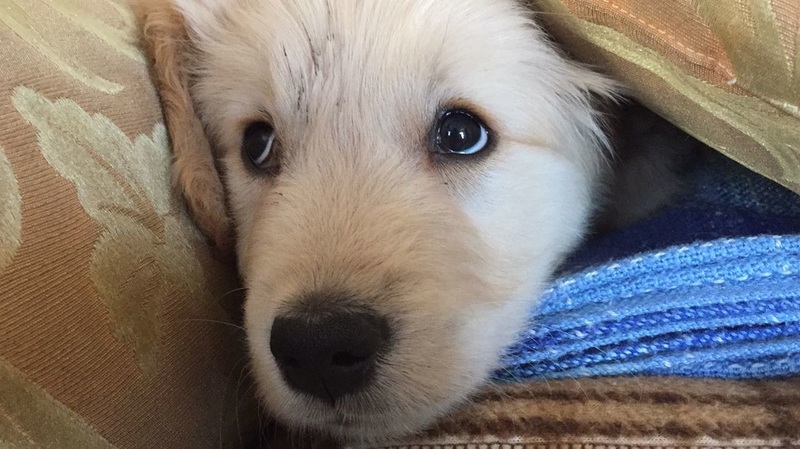 On the 26th of September I went to the vet clinic and there I met Mona, a tiny Golden Retriever puppy, who would change the life of not only me but also the people around me. This blog is dedicated to the journey that Bilal and me will go through while Raising Mona in Ankara. All the worthwhile events that Mona takes us through will be told on this blog and stored as memories. Along the way I also plan on sharing not only just the ways I’m raising Mona, but also, on the ways she’s raising me in a way. I hope you find my Parent journey at University to be interesting, as it has just started! It only gets better from here so stay tuned!